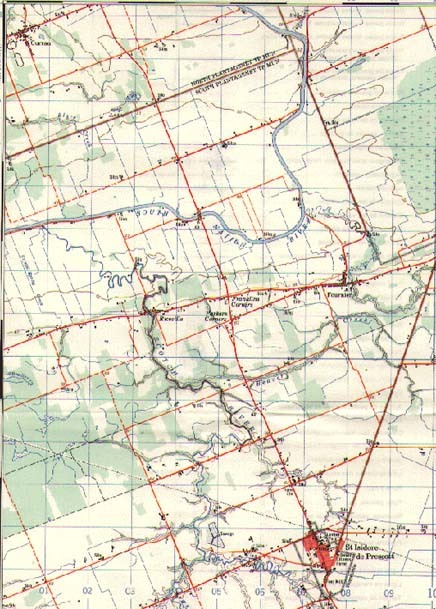 The town of Lalonde is situated on the road going up from Franklin`s Corners over the South Nation River to the next cross roads which is below the boundary of the townships of North and South Plantagenet. This map is taken from the topographical map for Alexandria, 31G/7 edition 6, scale 1;50,000, which provides a more detail, smaller view of the area. Here Lalonde is shown on the road between St. Isadore de Prescott and Plantagenet just above the South Nation River. 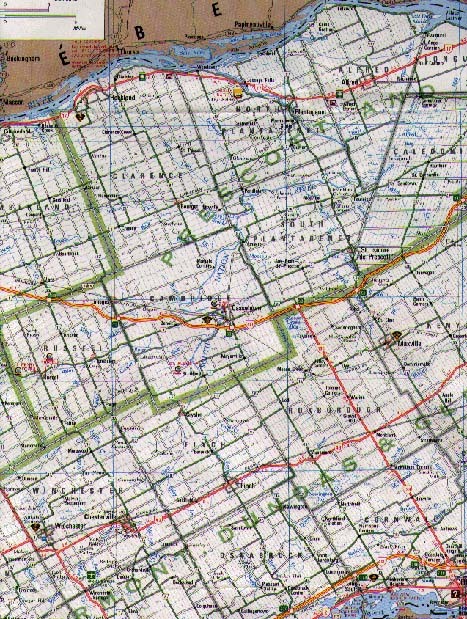 This taken from the Ontario Transportation map series Map # 8 on Eastern Ontario, 1984, scale 1:250,000, which provides a more wider view of the area.